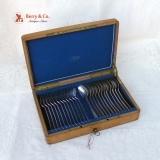 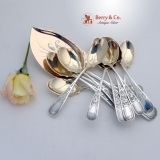 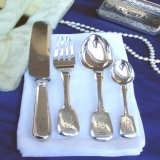 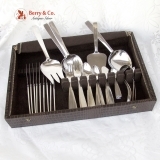 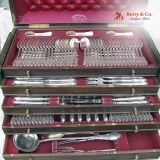 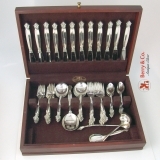 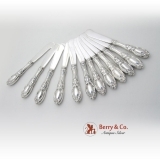 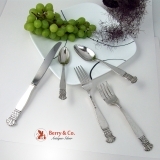 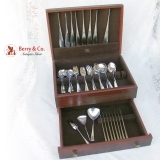 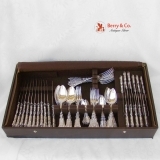 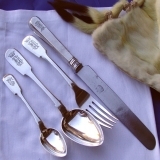 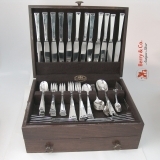 American sterling silver set of 12 cocktail forks with ornate open work handles in the pattern No. 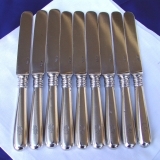 37 by Gorham Silversmiths, 1885. 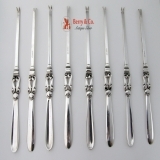 These beautiful forks are 5 1/2" long and weigh a total of 182 grams 5.85 ozs Troy. 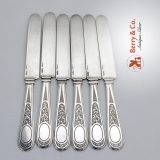 The excellent original condition and clear, crisp detail, with no monograms or removals, repairs or alterations, make this an especially attractive offering.